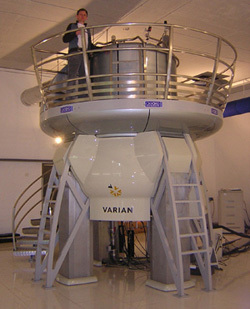 Nuclear magnetic resonance spectroscopy, most commonly known as NMR spectroscopy, is a research technique that exploits the magnetic properties of certain atomic nuclei. This type of spectroscopy determines the physical and chemical properties of atoms or the molecules in which they are contained. It relies on the phenomenon of nuclear magnetic resonance and can provide detailed information about the structure, dynamics, reaction state, and chemical environment of molecules. The intramolecular magnetic field around an atom in a molecule changes the resonance frequency, thus giving access to details of the electronic structure of a molecule and its individual functional groups. Most frequently, NMR spectroscopy is used by chemists and biochemists to investigate the properties of organic molecules, although it is applicable to any kind of sample that contains nuclei possessing spin. 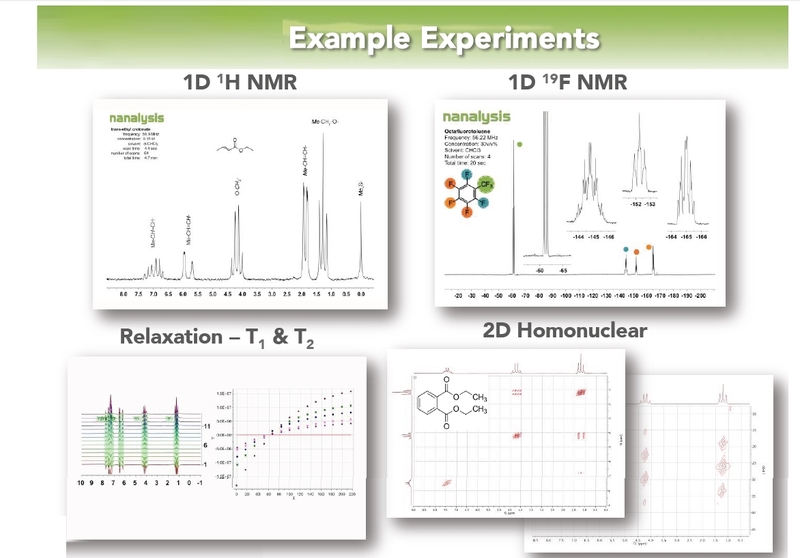 Suitable samples range from small compounds analyzed with 1-dimensional proton or carbon-13 NMR spectroscopy to large proteins or nucleic acids using 3 or 4-dimensional techniques. The impact of NMR spectroscopy on the sciences has been substantial because of the range of information and the diversity of samples, including solutions and solids. 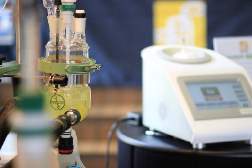 A Benchtop nuclear magnetic resonance spectrometer (Benchtop NMR spectrometer) refers to a Fourier transform nuclear magnetic resonance (FT-NMR) spectrometer that is significantly more compact and portable than the conventional equivalents, such that it is portable and can reside on a laboratory benchtop. 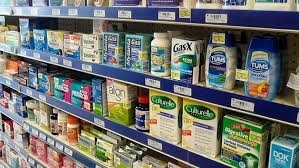 This convenience comes at the cost of lower resolution and decreased sensitivity. as they are simpler and easy to use. and are not limited to the determination of relaxation or diffusion parameters (e.g., T1, T2 and D). 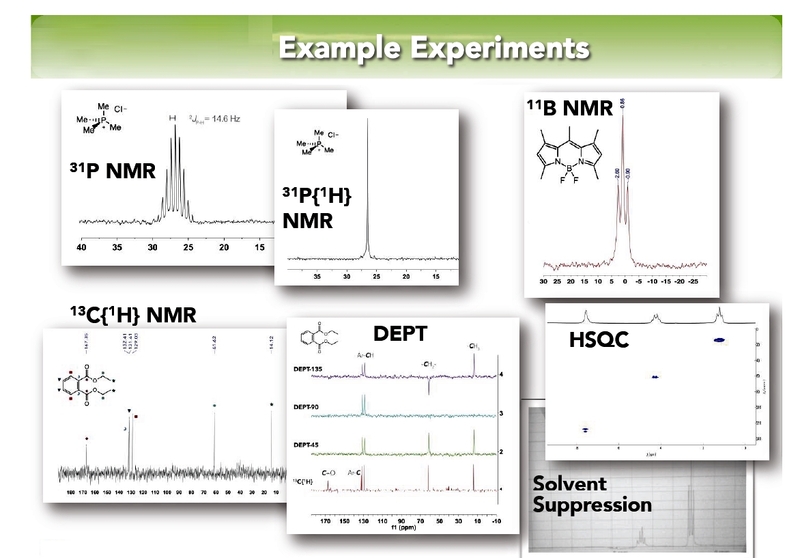 NMR spectroscopy can be used for chemical analysis, reaction monitoring, and quality assurance/quality control experiments. 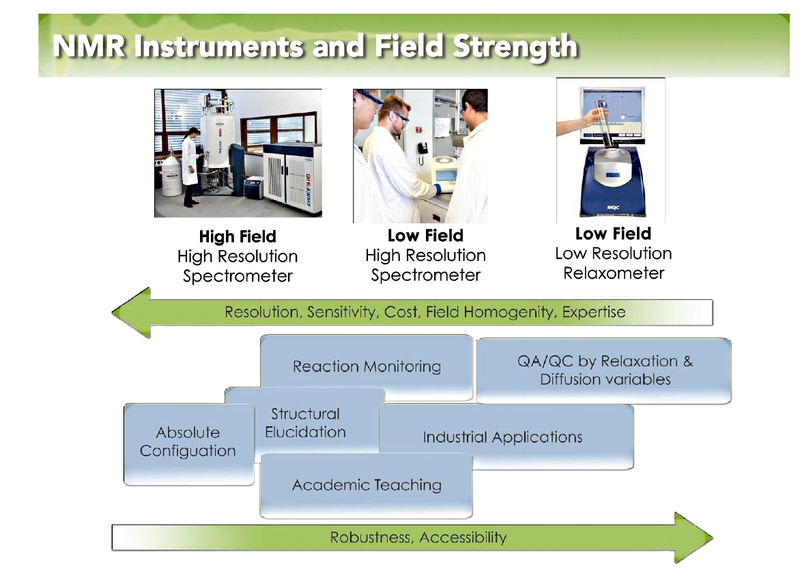 Higher-field instruments enable unparalleled resolution for structure determination, particularly for complex molecules. 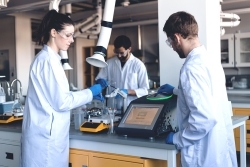 Cheaper, more robust, and more versatile medium and low field instruments have sufficient sensitivity and resolution for reaction monitoring and QA/QC analyses. 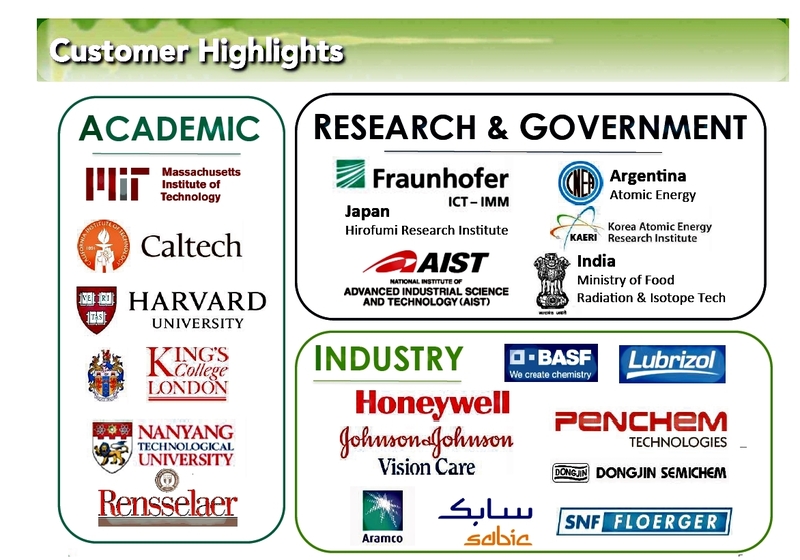 As such permanent magnet technology offers the potential to extend the accessibility and availability of NMR to institutions that do not have access to super-conducting spectrometers (e.g., beginning undergraduates or small-businesses). 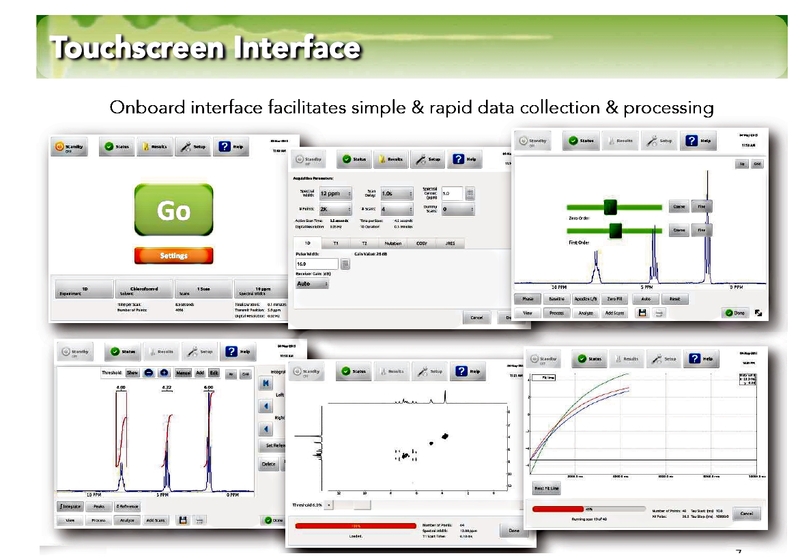 Many automated applications utilizing multivariate statistical analyses (chemometrics) approaches to derive structure-property and chemical and physical property correlations between 60 MHz 1H NMR spectra and primary analysis data particularly for petroleum and petrochemical process control applications have been developed over the past decade. (iv) reaction monitoring/kinetic profiling etc. (v) determine molecular weight (MW), molecular number (Mn) and polydispersity index (PDI). 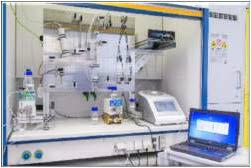 As biodiesel is formed through a simple transesterification, it is easily monitored and characterized by NMR Spectroscopy. 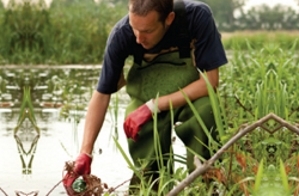 This analytical technique allows easy, non-destructive evaluation of many of the components regulated in biodiesel standardization (e.g., water, alcohol, phosphorous, and glycerol content). Subsequently, the NMReady could be easily incorporated into characterization to improve workflow. 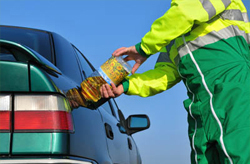 NMR Spectroscopy can be used to quantify the percentage of biodiesel in composite fuel mixture. Educational curricula trends are shifting towards hands-on, guided-inquiry approaches that help students obtain meaningful learning. 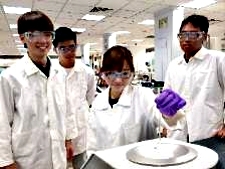 As chemistry laboratories provide the perfect opportunity for students to supplement cognitive learning with psychomotor skills, an increasing number of analytical characterization techniques have been incorporated into procedures (e.g., UV-Vis, IR). 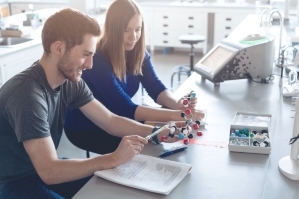 Even though NMR is the most commonly used characterization technique in inorganic and organic chemistry, it is usually the least available to undergraduate students. 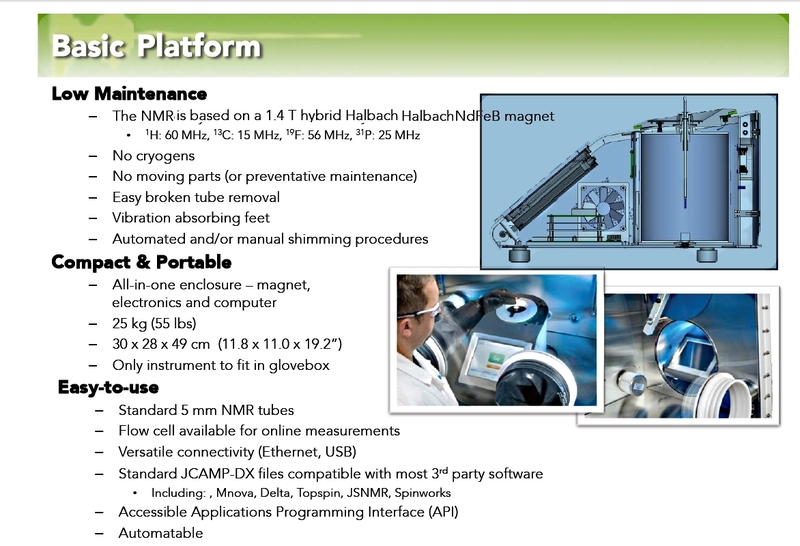 As the biggest restriction to including NMR spectroscopy in laboratories is the limited accessibility of high-field NMR, the NMReady provides an easy solution. 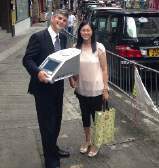 It is compact, portable and easy-to-use. 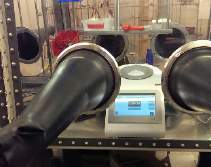 Moreover, it does not require weekly maintenance and is designed to minimize damage occurred by broken NMR tubes. 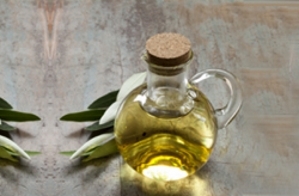 Relaxometry has long been used in food science to determine the solid fat content (SFC), moisture content etc.. Not only can the NMR perform these fundamental experiments, but, in addition, the option to measure high-resolution 1D 1H NMR acquisition can provide additional invaluable information through speciation (e.g., amount of saturated and unsaturated fats, cis/trans olefin conformations, % carbohydrates). qNMR QA/QC methods are also possible to validate product claims (e.g., carbohydrate content, alcohol percentage, authenticity of the sample or the presence of adulterants). 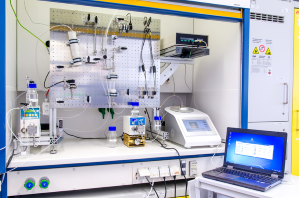 NMR methods can be useful in quantifying and speciating dissolved organic matter in earth’s atmosphere, ocean, and soil (e.g., chlorofluorocarbons, benzene, toluene, ethylbenzene & xylene (BTEX), methyl tert-butyl ether (MTBE).